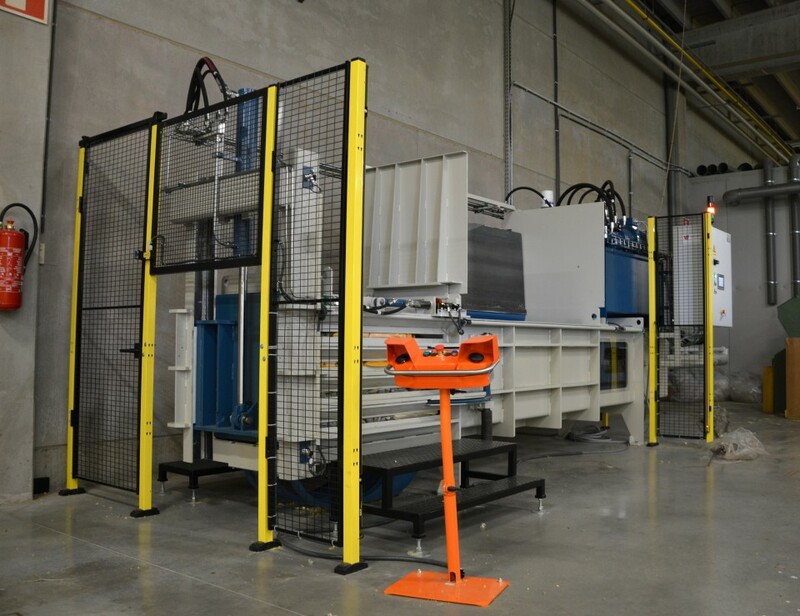 Gualchierani Baling Systems sold 3 full-automatic GSA baling presses (with automatic wrapping and strapping) for the expansion in the factory of Sateri in China. This sale shows that the Chinese market is now really moving towards the installation of full automatic machines to save on labour costs. Gualchierani Baling Systems is very happy to announce the sale of the first baling press for bumps and tops with full automatic wrapping and strapping with polyester straps. Up to now, all the baling presses in the market (above ground or underground) were equipped with manual wrapping (using 2 half bags) and, in some cases, automatic strapping with polyester straps. The new Gualchierani machine is a 300 ton pit baling press and is also equipped with automatic loading of the carts in the baling press. It has a capacity of 15 bales per hour with a weight of 450 to 500 kg each. The new baling press will be installed in China. 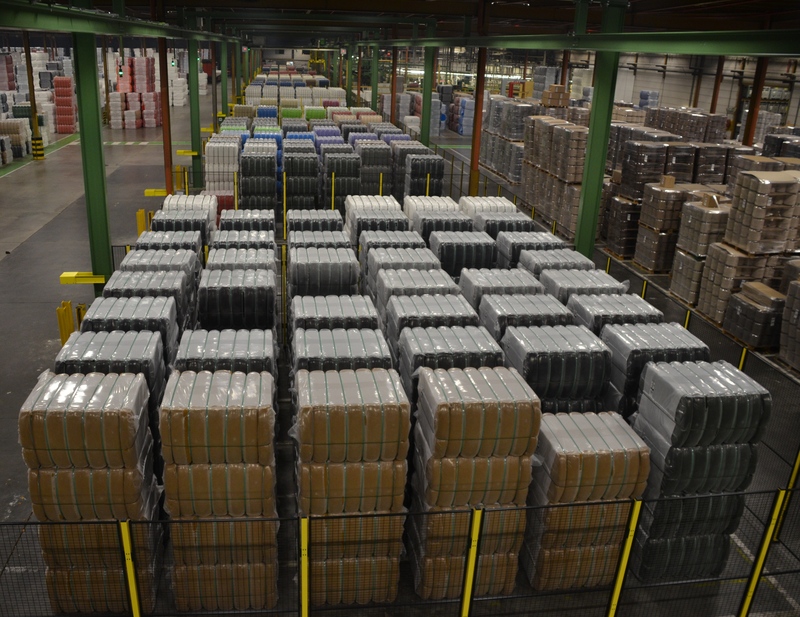 Valvan Baling Systems, your reliable provider of bale warehouse management solutions. 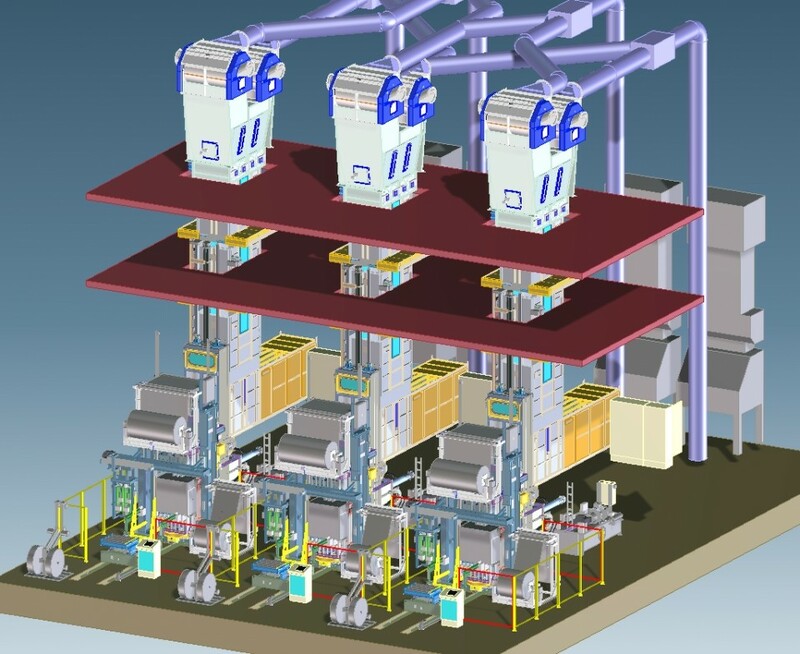 With the increase of sales of high capacity full-automatic baling presses, the demand for a fast evacuation and high volume storage of bales is also growing. The old way, with fork lifts driving the bales to the warehouse to stack them, requires a lot of manpower, it is a dangerous procedure and involves high maintenance costs of fork lifts. For these reasons, staple fiber manufacturers are interested in automating also this part of the baling process in order to save on costs. 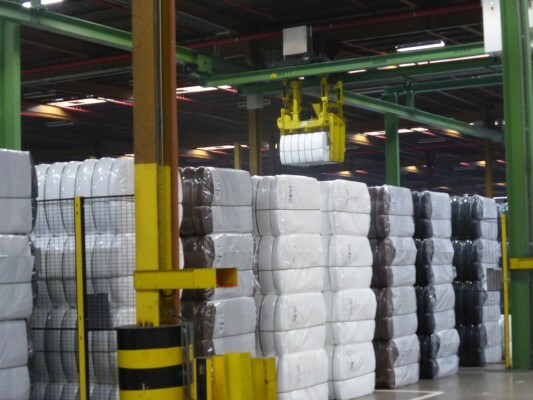 Recently, Valvan Baling Systems provided a state of the art warehouse management solution for a major fiber producer in Europe. The main goal of the project was to store all the bales from production over a period of up to 4 days, in 1 location without any manual intervention. The project consists of several storage areas and a bridge crane. The bridge crane can move within the bale evacuation areas of the baling presses and the complete storage area. It also moves up and down to pick up or unload the bales at the correct height. An ingenious clamp mechanism ensures the bales are accurately positioned without damaging the wrapping material. 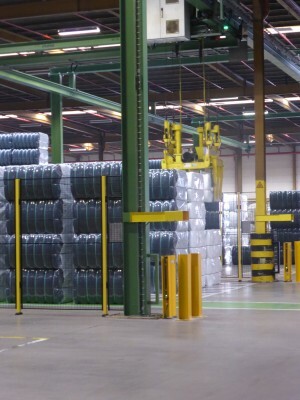 A safety system prevents bales from falling in case of loss of pressure. The storage area consists of 16 separate secured compartments where 6 rows of 6 piles can be stored. Each pile can consist of up to 4 bales, which gives a total capacity of 2.300 bales. 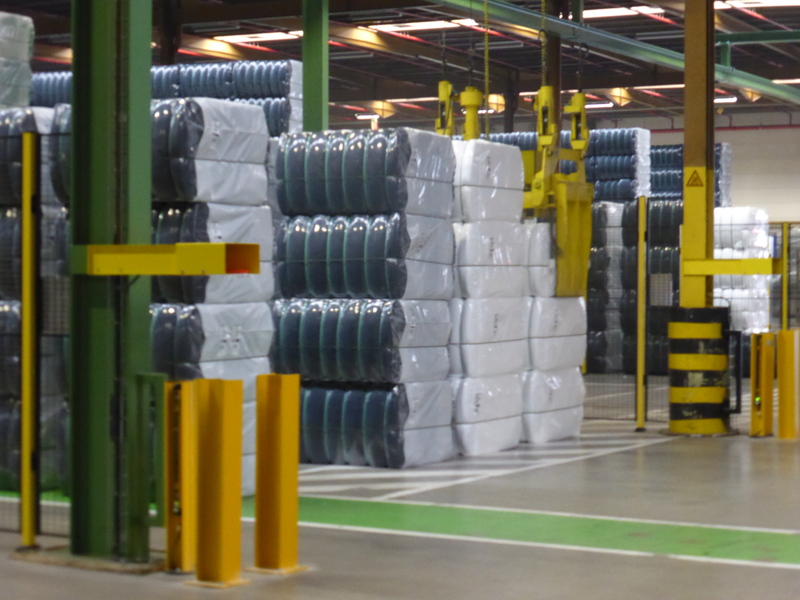 The bales are coming from several separate fiber production lines with different lots, colors, specifications, etc. Our warehouse management software tracks the data on each bale in order to store the bales as much as possible per lot and color for easy evacuation. The piles of bales are taken out of the storage areas by a lift truck. When entering the secured compartment, the crane can only pass over the zone. No drop-off is allowed at that time for safety reasons. The forklift operator needs to do a safety reset outside of the safety zone to allow storage in that area again. There is continuous interaction between the customers’ DCS system and the Valvan warehouse management software. We have recently delivered 2 brand new horizontal baling press installations to mattress producing companies who wanted to pack their waste foam in very dense, nice-looking, stackable bales. A medium size machine with large filling opening and automatic filling lid, was delivered to Euro-Mousse, a successful and steadily expanding Belgian company producing mattresses and pillows, mainly for the healthcare sector. We are the only manufacturer that offers cross-tying on semi-automatic baling presses for foam! An even larger baling installation was delivered to 1 of the largest Spanish mattress manufacturers for their new Zaragoza plant. Here, a larger amount of materials needed to be treated and so a larger baling presses was required. Our largest horizontal machine, the H75DL2500L, was the perfect solution. 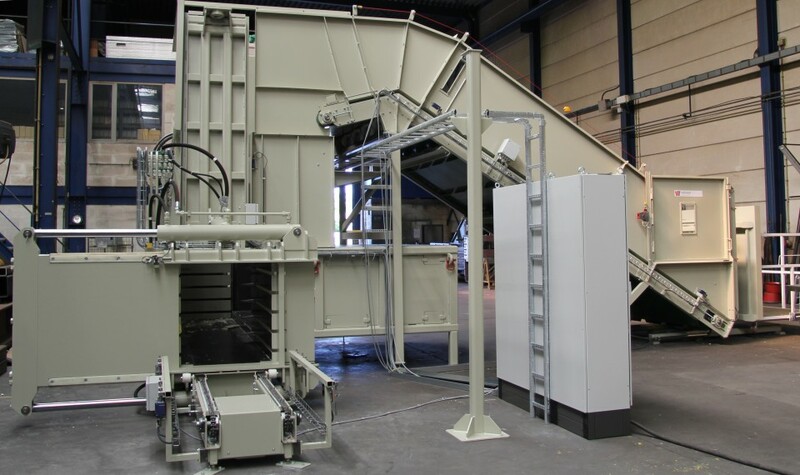 This 75 ton main press with 25 ton side press, has an enormous filling opening of 2,5 m x 1.5m, being the largest filling opening available on the market for baling bulky materials like foam. 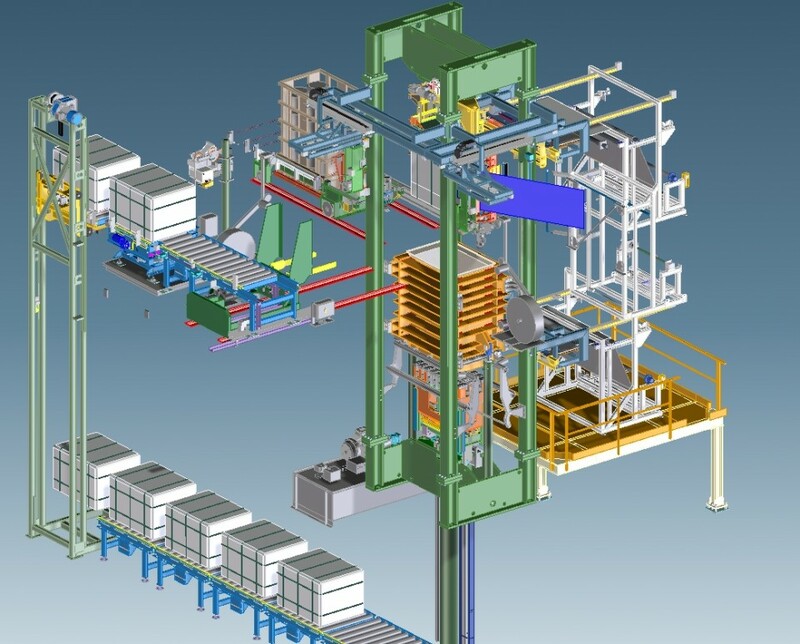 This complete turnkey baling installation also features a cart tilting device, a wide feeding conveyor to the baling press, automatic bale removal and bale storage conveyors. 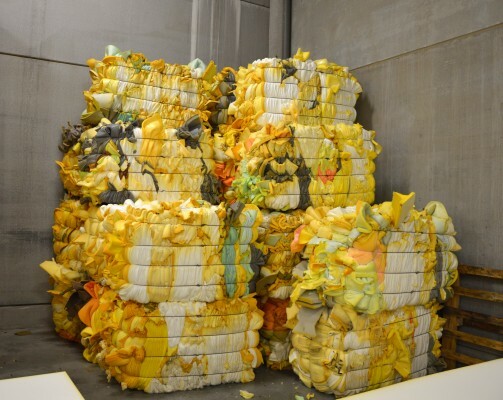 Foam waste is one of the most difficult materials to bale and requires special purpose baling presses with a robust construction and specific features that cannot be found on any standard baling press used for other wastes like cardboard, plastics or general wastes. Valvan Baling Systems NV remains the reference in foam baling and delivers baling presses built to last! Please contact Sales@valvan.com for more information on our machinery.